Ford Mustangs lined up to enter the All Ford Cruise In and Swap Meet at Longbranch Park near Liverpool, New York on Sunday, June 10, 2018. Nikon D750/24-120VR, 1/125s, f/16, ISO 640, EV 0, 66mm Focal Length, Cropped. A couple of weekends ago, I helped out the Syracuse Shelby Mustang Club by photographing their annual All Ford Cruise In and Swap Meet. As a member of the club and proud owner of a Mustang myself, I was in my element as hundreds of Ford automobiles dating back to 1917 cruised past my lens. Get ready for a very image heavy post as I took over 400 photos during the all day event. Remember the girl in the Ford Thunderbird from the movie American Graffiti? We found out later the actress was Suzanne Somers. Yet, I remember the car more than her. 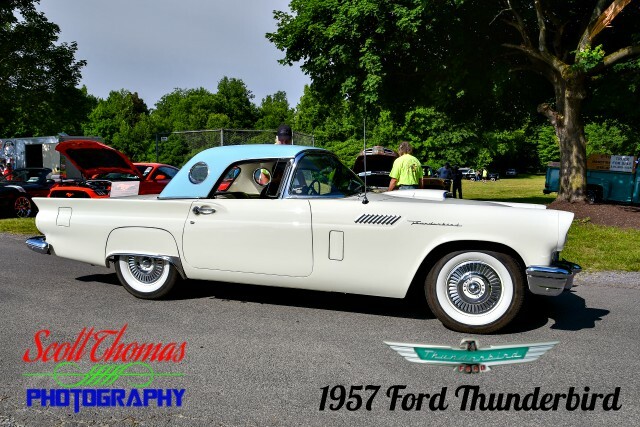 1957 Ford Thunderbird arriving to the All Ford Cruise In and Swap Meet at Longbranch Park near Liverpool, New York on Sunday, June 10, 2018. Nikon D750/24-120VR, 1/400s, f/8, ISO 100, EV 0, 24mm Focal Length. 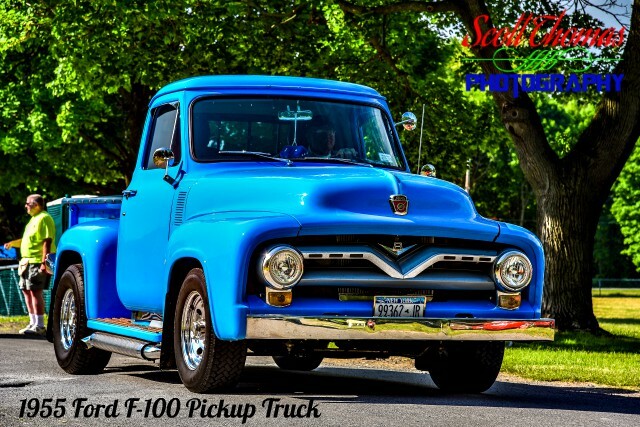 1955 Ford F-100 Pickup Truck entering the All Ford Cruise In and Swap Meet at Longbranch Park near Liverpool, New York on Sunday, June 10, 2018. Nikon D750/24-120VR, 1/125s, f/8, ISO 250, EV 0, 105mm Focal Length. When this beauty of a 1955 Ford Ranch Wagon towing a 1964 Airstream Bambi II travel trailer rolled in, it took me back to my childhood when my family cruised around in a 1967 Ford Country Squire station wagon. The cylinder outside the passenger window of the Ranch Wagon is an “air conditioner”. 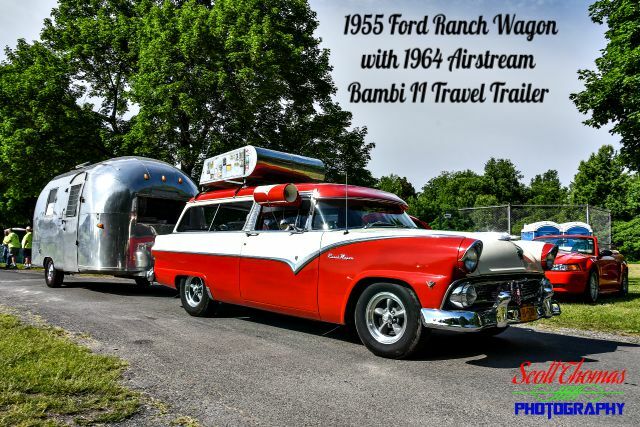 1955 Ford Ranch Wagon and 1964 Airstream Bambi II travel trailer pulling into the All Ford Cruise In and Swap Meet at Longbranch Park near Liverpool, New York on Sunday, June 10, 2018. Nikon D750/24-120VR, 1/125s, f/8, ISO 110, EV 0, 24mm Focal Length. There were some cool trucks of all sizes starting with this one. 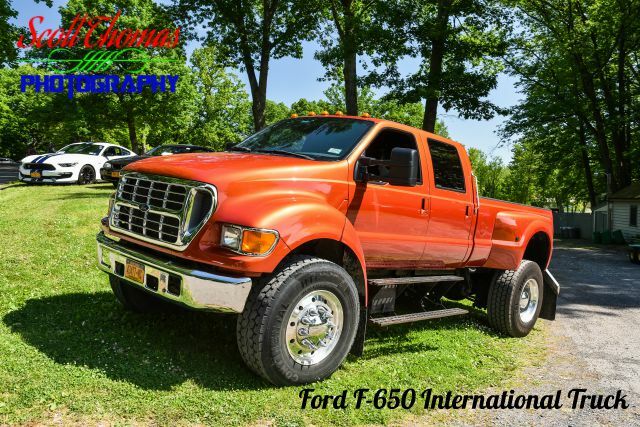 Ford F-650 International Truck at the All Ford Cruise In and Swap Meet at Longbranch Park near Liverpool, New York on Sunday, June 10, 2018. Nikon D750/24-120VR, 1/125s, f/8, ISO 400, EV 0, 31mm Focal Length. Ford is bringing back the Bronco in 2020. I doubt it will be as big as this one. Sorry, dog was supplied by the Bronco’s owner and was not a Ford option. 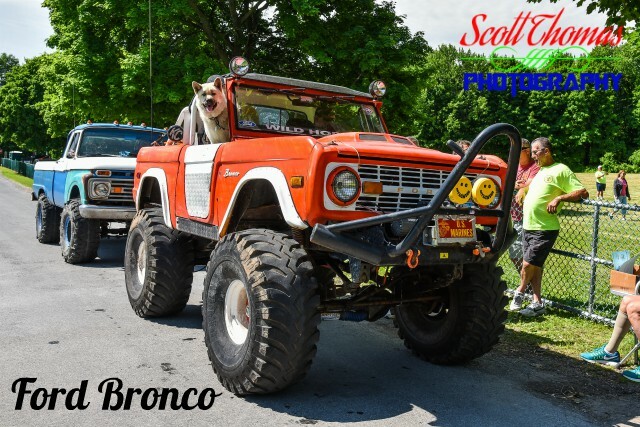 Ford Bronco checking in to the All Ford Cruise In and Swap Meet at Longbranch Park near Liverpool, New York on Sunday, June 10, 2018. Nikon D750/24-120VR, 1/125s, f/8, ISO 280, EV 0, 31mm Focal Length. I would be remiss if I did not include Ford’s latest Sport Truck series, the Raptor. 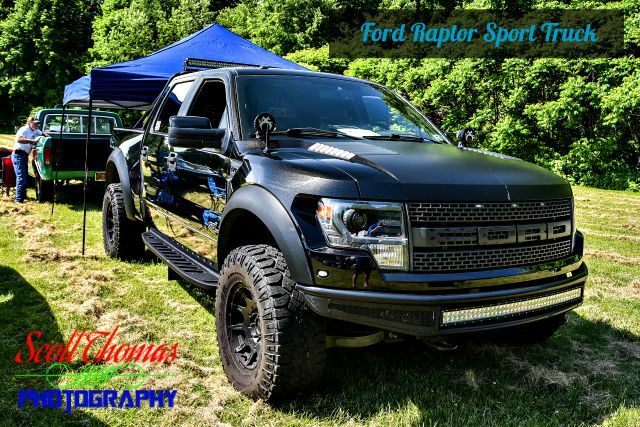 Ford Raptor Sport Truck on display during the All Ford Cruise In and Swap Meet at Longbranch Park near Liverpool, New York on Sunday, June 10, 2018. Nikon D750/24-120VR, 1/125s, f/8, ISO 450, EV 0, 24mm Focal Length. Finishing up with my favorite Ford vehicle, the Mustang! This year marks the 50th Anniversary of the movie, Bullitt. While it was not the greatest movie ever made, it does contain what I consider the best car chase scene featuring a 1968 Ford Mustang GT Fastback (click the link to watch). Over the years Ford has brought out special Bullitt versions of the Mustang including this year. Since the 2019 Bullitt Mustang has not even been produced yet. Here is one from the last model year of the Bullitt, 2008. 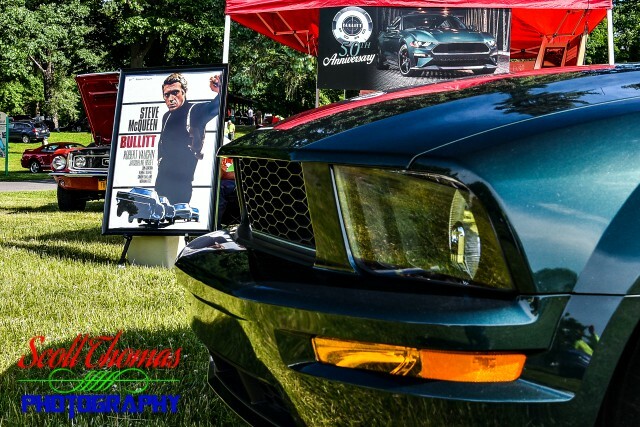 2008 Ford Bullitt Mustang GT celebrating the 50th Anniversary of the movie, Bullitt, at the All Ford Cruise In and Swap Meet at Longbranch Park near Liverpool, New York on Sunday, June 10, 2018. Nikon D750/24-120VR, 1/125s, f/8, ISO 280, EV +0.3, 24mm Focal Length. 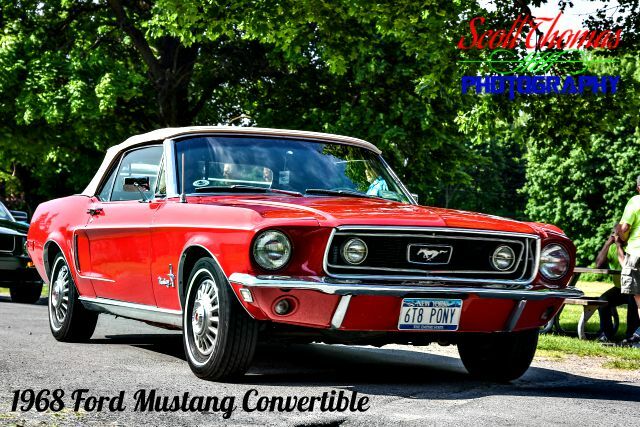 Here is a 1968 Mustang Convertible representing the first generation of Ford’s iconic sports car which lasted from 1964 1/2 to 1973. 1968 Ford Mustang Convertible rolling into the All Ford Cruise In and Swap Meet at Longbranch Park near Liverpool, New York on Sunday, June 10, 2018. Nikon D750/24-120VR, 1/125s, f/8, ISO 320, EV 0, 70mm Focal Length. Most Mustang people like to ignore the second generation and go right for the third generation affectionately known as the Fox Body Mustang. 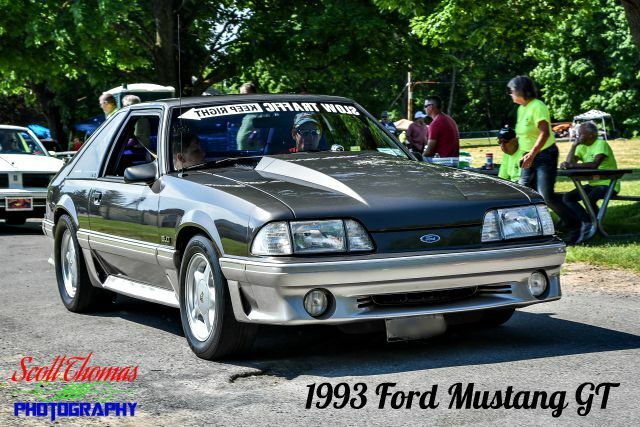 1993 Ford Mustang GT driving into the All Ford Cruise In and Swap Meet at Longbranch Park near Liverpool, New York on Sunday, June 10, 2018. Nikon D750/24-120VR, 1/125s, f/8, ISO 360, EV 0, 66mm Focal Length. In 1994, Ford introduced the fourth generation of Mustang code named “SN-95”. It featured a more modern look with some throwback queues going back to the first generation. The Pony emblem returned front and center to the grille. 1994 Ford Mustang GT Convertible sitting pretty at the All Ford Cruise In and Swap Meet at Longbranch Park near Liverpool, New York on Sunday, June 10, 2018. Nikon D750/24-120VR, 1/125s, f/8, ISO 500, EV +0.3, 30mm Focal Length. The S197 Mustang platform introduced in 2005 ushered in a fifth generation retro-Mustang looking very much like the original 1960’s cars. 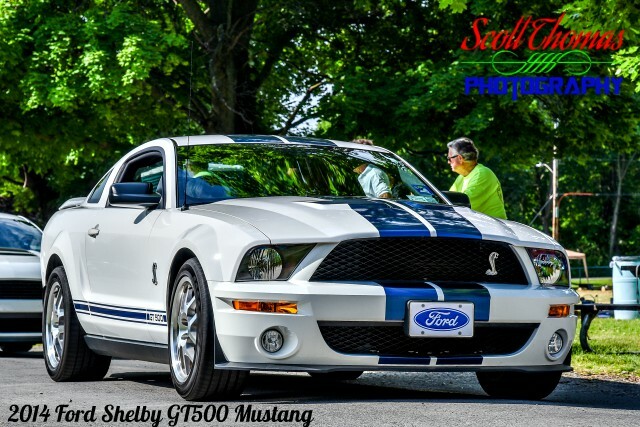 The last year of this generation was topped off by the powerful 2014 Shelby GT500 Mustang. The sixth generation of the Ford Mustang came out in 2015 and was a bit controversial. The new S550 platform had a 4-cylinder engine model for the first time since the early 1990’s. The Ecoboost Mustang, while having impressive fuel mileage for an American sports car, came from the factory with 310HP and 320 ft-lbs of torque from the 2.3 Liter Turbocharged power plant. The new Mustang had a 21st century look and technology with the Premium versions having an 8-inch console screen and infotainment system with Apple CarPlay and Android Auto integration. I liked it so much, I bought one for myself. 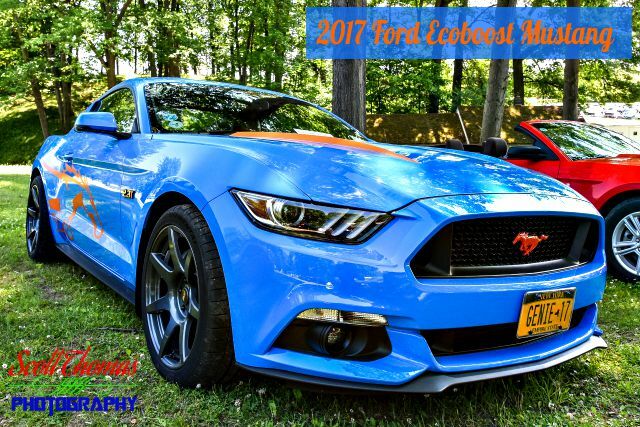 Genie, the 2017 Grabber Blue Ford Mustang Ecoboost Premium with Performance Package showing at the All Ford Cruise In and Swap Meet in Longbranch Park near Liverpool, New York on Sunday, June 10, 2018. Nikon D750/24-120VR, 1/125s, f/8, ISO 1800, EV 0, 24mm Focal Length. See, told you I liked that color. If you stuck with me until this point, you probably would like to see more photos from the event. Well, here you go! 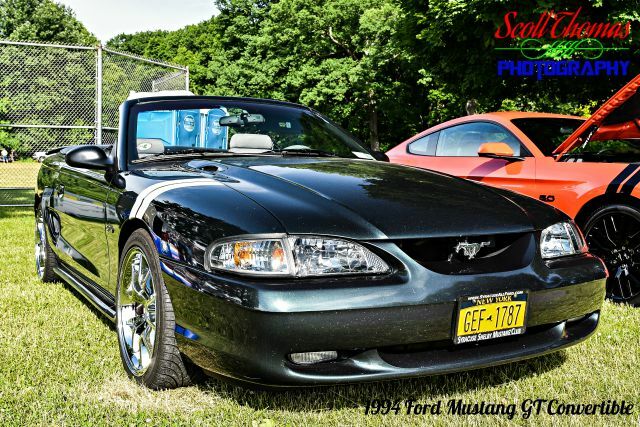 This entry was posted in Event, Weekly View and tagged all ford cruise in, cars, liverpool, longbranch park, mustang, new york, ssmc, summer, swap meet, syracuse shelby mustang club, trucks. Bookmark the permalink. My husband would have enjoyed this show tremendously. Of course his favorites are old Studebakers!